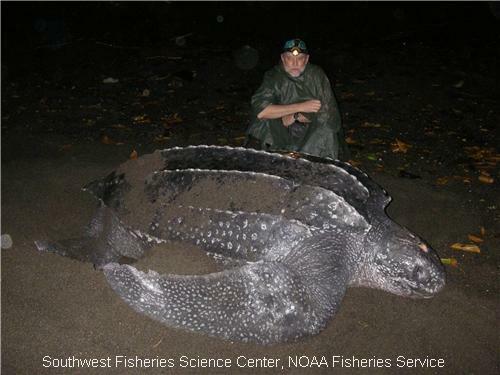 The leatherback sea turtle is the largest turtle, and the largest living reptile, in the world. “The jellies aren’t particularly fast, so it takes just 22 seconds to catch up to one, and another minute to eat it. The turtles can swallow dozens in quick succession, and they leave nothing behind. 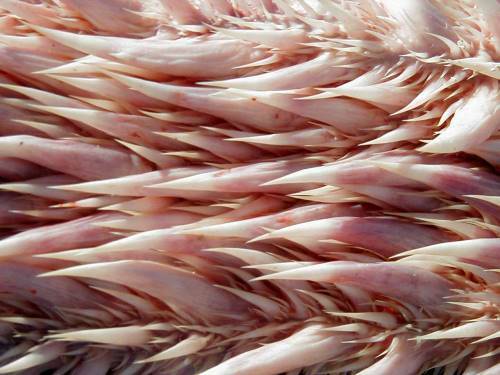 The jellyfish may not be an especially nutritious meal, but none of it goes to waste. This explains how these turtles can grow so giant on a diet of nothing but jelly and stinging tentacles. 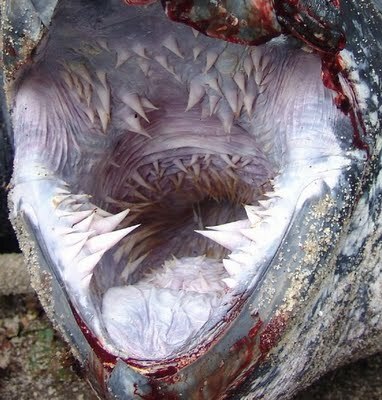 There is simply no way for the jelly to outrun the turtle, so the leatherback is a jelly-eating machine. Little do you know, the evolutionary adaptation for keeping these doomed jellies from floating back out of their mouths during feeding is simply terrifying. Backwards facing spines in the turtle's mouth keeps the ethereal jellies from escaping. Leatherbacks consume everything from swarms of the smallest jellies to the most massive jellies in the sea like the Lion’s Mane Jelly (which for many is their primary prey). Either way, the spines catch these jellies on the way down, keeping a meal from escaping that often takes more than one bite or involves many small individuals. Good thing you’re not a jelly, right? 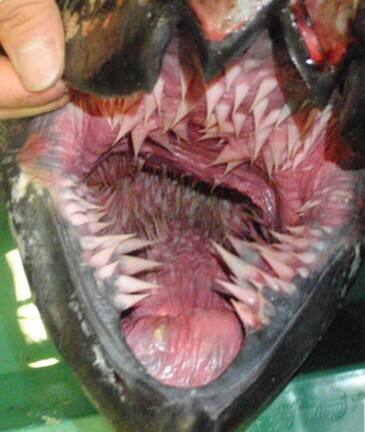 You can see that the spines continue all the way down the turtle's throat. 4 responses to "Some Turtles Are Terrifying"
Who, why would something that eats jelly all day look like something that Satan made when he was bored. Click my name to help CONCERN raise much needed funds. How can these be the 'largest living reptiles on earth'? Ever heard of a saltwater crocodile? Those beasts get up to 24 feet in length! Looks perfect for the mouth of a worm in Dune.